Lee’s Creative Sewing & Vacuums services most brands of sewing machines, embroidery machines and sergers. 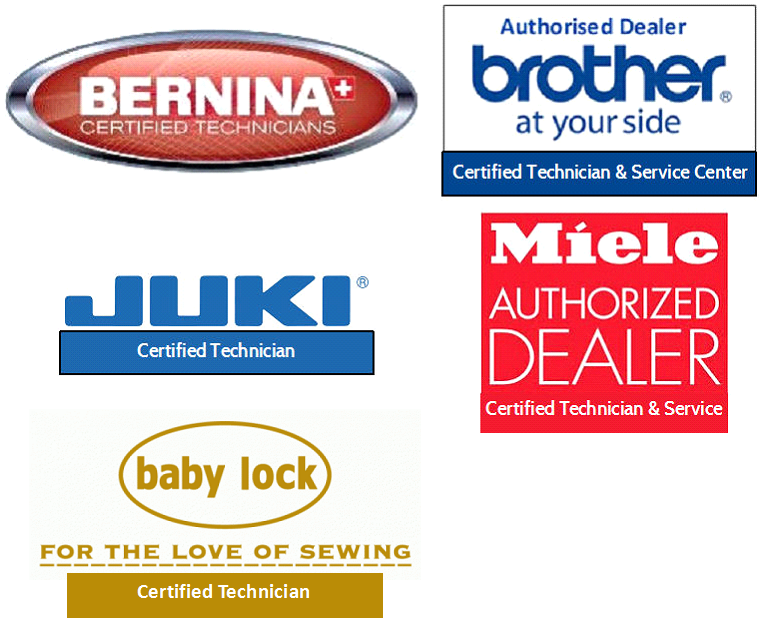 We service Miele, Sebo, Dyson, Kirby, Oreck and Linhaus vacuums. All repairs are done,in house,by one of our three technicians. Remember, maintaining a machine contributes to the longevity of the machine. Yearly, service is a good practice when maintaining your machine or vacuum. All warranties apply to the original owner of the product. Warranty work is carried out on all products we sell at our three locations. Please bring the following when we service a sewing machine. 1. Bobbin case, bobbin and and zig-zag pressure foot. Leave all other attachments at home. 2. Please make sure machine has zig-zag plate on the machine. 3. Embroidery attachment and hoop if servicing embroidery unit. 4. Only bring foot control or cord, if you are experiencing trouble, or if is a brand beside Babylock, Bernina, Brother, or Singer. 5. Do not bring cases, large roller bags or cabinets.